Hello everyone! 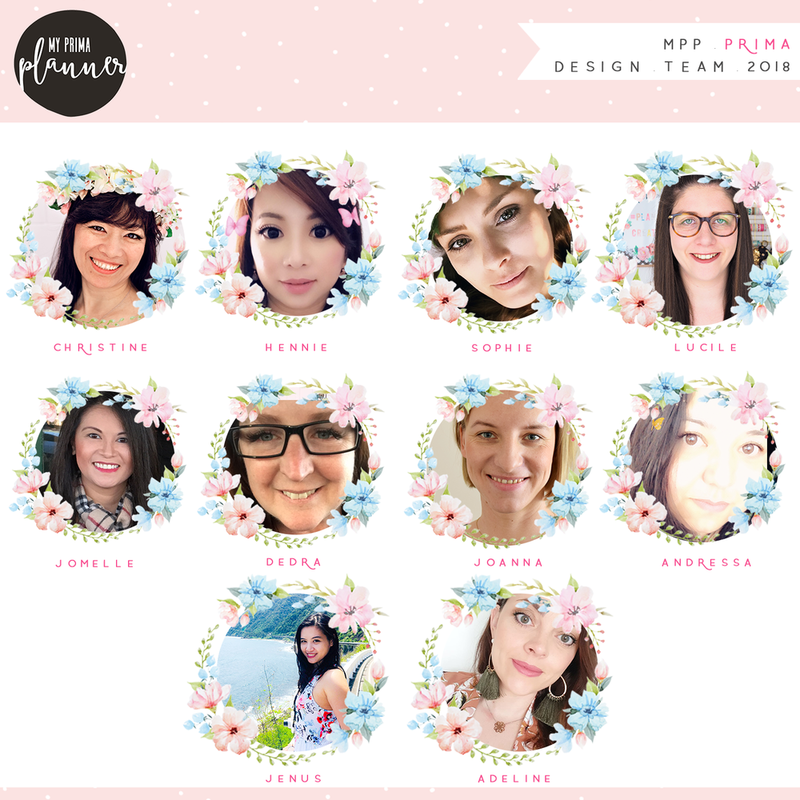 We are so excited to be announcing our new My Prima Planner Design Team for 2018. These gals are so creative and will bring you so much inspiration as well as show you new tricks and techniques on how to use our Prima product in your planners and journals. Our design team comes from all over the world and we can not wait to see what they create. Please be sure to look below to see each design team memebers infomation. Sophie is another one of our returning design team members from Germany and can be found on Instagram @phiespoetry. Dedra is another one of our returning design team members from Arizona, USA and can be found on Instagram @dedralong. Andressa is another one of our returning design team members from London and can be found on Instagram @plannersandflowers. Henny is a past returning design team member from Arizona, USA and can be found on Instagram @hennytjcraftcottage. Adeline is a past returning design team member from France, USA and can be found on Instagram @planneraddictfr. Christine is new to our team and we are beyond delighted to have her. She is from California, USA and can be found on Instagram @faith_artistry. Jenus is new to our team and we are beyond delighted to have her as well. She is from the Philippines and can be found on Instagram @jveruditeartist. Joanna is new to our team as well and we are beyond delighted to have her. She is from Poland and can be found on Instagram @joanna_nowik. Lucile is new to our team and we are beyond delighted to have her as well. She is from France and can be found on Instagram @dejolieschoses18. We hope you are as excited as we are to see all of the amazing work these ladies do. Please go follow them on Instagram and show them some love. Making Art In Your PTJ!